Instagram is undoubtedly the reigning champion of social photography apps, but there was once a time when Hipstamatic owned the spotlight. As the mobile app that took the trend of filtered photo sharing mainstream, Instagram owes a lot of its success to Hipstamatic. Apple awarded the iPhone app of the year award to Hipstamatic in 2010 and the torch was passed to Instagram in 2011. As of today, Hipstamatic will now let you send photos you take in the app to Instagram. Not only does this move establish Instagram as the iPhone photography app victor, but it also establishes the app in its own right as a social network of the same caliber as Twitter for Facebook. 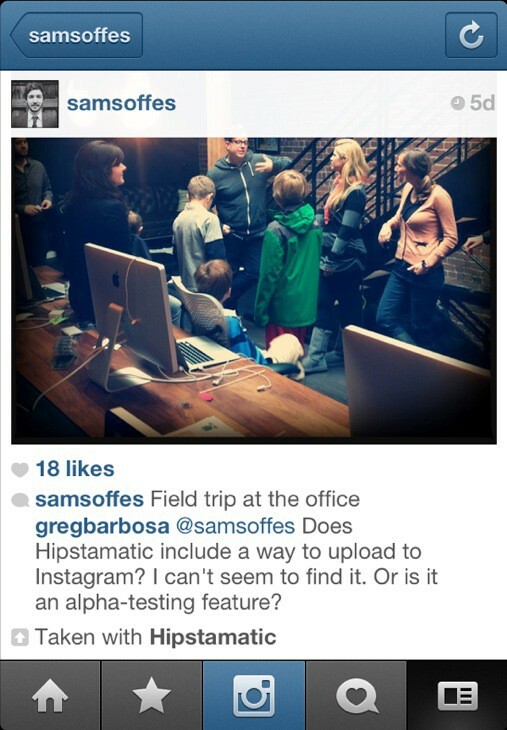 Hipstamatic is the first app to use the private Instagram API for photo sharing integration. Other third-party Instagram apps will let you view and interact with the popular network, but Hipstamatic is the first to let you send your photos to your Instagram account directly. Indeed, Instagram is growing rapidly. The app currently boasts 27 million users, making it the most popular mobile-only social network in existence. The guys behind Instagram are also said to be raising a $40 million round of funding. That’s quite an accomplishment for an app that’s currently only available on the iPhone. While Hipstamatic has certainly had a large part of its cake eaten by Instagram, the once-domiant app also boasts an impressive user base: 4 million users who upload 48 million photos every month. The Hipstamatic app costs $1.99 and sells in-app upgrades for different filters and effects. Instagram is totally free. You’ll probably start seeing a few photos that are “Taken with Hipstamatic” in your Instagram feed now. 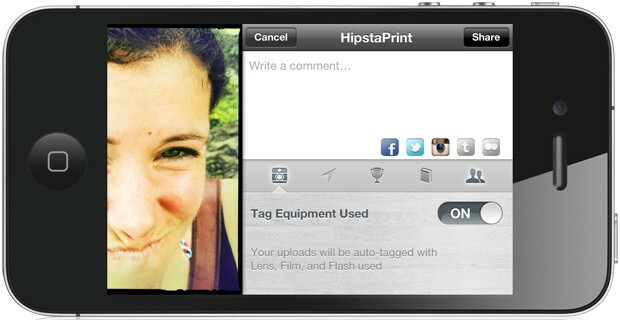 Expect more apps like Hipstamatic to start integrating with Instagram in the future.